One of the better moments of the underground scene on Polydor at the end of the 60s – a pretty cool little group led by Noel Redding! There's a few slightly soulful moments on the set that make it nicely appealing to our ears – a bit hippy dippy to be sure, but with some nice drums, good production, and even some guest flute by the legendary Chris Wood. 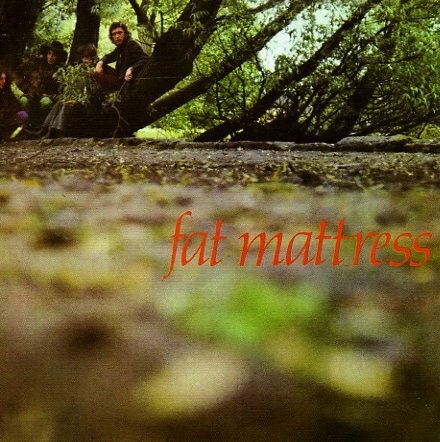 Jimi's shadow will always blot out the excellence of the other members of The Experience, and Fat Mattress is shows had more to offer than outside the harder edged realms of rock. Titles include "Mr Moonshine", "All Night Drinker", "Petrol Pump Assistant", "How Can I Live", "Everything's Blue", and "Bright New Way". This CD edition from Esoteric includes 8 bonus tracks, including rare singles and session tracks: "Naturally", "Iridescent Butterfly", "Magic Forecst", "Little Girl In White", "Eric The Red", "and more. © 1996-2019, Dusty Groove, Inc.